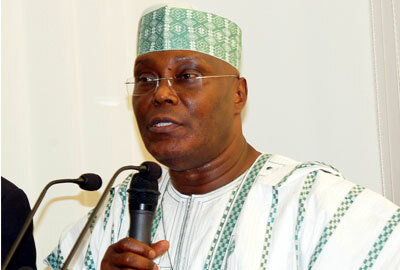 Southeast political leaders are accusing the Peoples Democratic Party (PDP) presidential candidate, Alhaji Atiku Abubakar of reneging on some pre-convention agreements reached with him. And this is the cause of the bad blood generated in the zone by Atiku’s choice of former Anambra State governor Peter Obi as running mate for the 2019 election, The Nation can now report. Particularly irked by the alleged renege are Deputy Senate President Ike Ekweremadu and some governors in the zone, sources said yesterday. Associates of the Deputy Senate President and some PDP leaders in the Southeast are already putting pressure on Ekweremadu to review his status in the party. His options are to defect from the party or remain in PDP to fight for survival. The alleged agreements include consultation with Southeast leaders on how to pick vice presidential candidate; consensus on other positions conceded to the zone; finding a meeting point with the zone on Atiku’s idea of restructuring; need to spend one term in office and cede power to the Southeast in 2023; the offer of the VP slot to Ekweremadu (Right of First Refusal) before any other candidate. Atiku had allegedly offered Ekweremadu the vice presidential slot a year ago. As the PDP Port Harcourt convention approached, majority of the Southeast leaders in PDP were determined to work for Atiku, hence their decision to shun overtures from Governor Nyesom Wike of Rivers State to team up with Sokoto State Governor Aminu Waziri Tambuwal. It was gathered that a few days before the convention, Ekweremadu and some Southeast governors shunned all the meetings convened by Wike. Within a week of Atiku’s emergence as PDP presidential candidate, he named Obi as running mate, causing bad blood in some political quarters in the zone. The first salvo was fired by Ebonyi State Governor David Umahi who said Obi’s choice was made without consultation with leaders of the zone, although he was quick to add that he has nothing personally against Obi. Obi himself has since launched a mission to douse the tension, moving round the zone to talk to those that matter. But sources said the issue has continued to be a source of worry for Atiku in the Southeast. “All our leaders have no grudges against Obi but they are just unhappy about how Atiku reneged on some of the agreements reached with him especially the essence of carrying stakeholders along,” a well- placed source said yesterday.